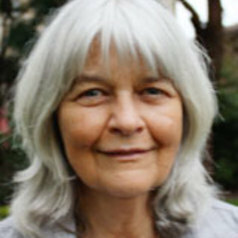 Wendy Bacon is a Professor of Journalism based at the Australian Centre for Independent Journalism. A well known Australian investigative journalist and non practising lawyer, she publishes with The Sydney Morning Herald, Crikey.com and Reportage Online. Before joining UTS, she worked at Channel 9 (Sunday Program and Sixty Minutes), John Fairfax and Sons (National Times and Sun Herald) and SBS (Dateline). She won a Walkley feature writing award and Follow Me award for inspiration to women for her investigations into corruption. More recently, she has investigated a miscarriage of justice in the case of Roseanne Beckett and also investigated Australia's foreign aid program. Her current research interests include the reporting of humanitarian and environment issues, finding innovative ways to combine investigative journalism with scholarly research and developing e learning projects around simulation games and blogs. She produces large group investigations with UTS undergraduate and postgraduate students including Spinning the Media, a study of the extent to which Australian news is driven by public relations. Professor Bacon has taught investigative reporting for John Fairfax and Sons and in PNG, Fiji, Vietnam and Indonesia. She is a contributing editor to the Pacific Journalism Review and the Sage journal Journalism, Theory, Practice and Criticism.